DSLR cameras are progressively becoming the type of camera that is easily available for beginners as the prices fall and as manufacturers come up with more friendly models. The main problem you would face now is that there are actually a lot of them in the market today and there would surely be more before the year runs out. So how do narrow all your choices down to which DSLR to buy? Lenses– Some manufacturers might offer kit lenses but you should look forward to upgrading. Batteries– All manufacturers will provide you with one but if you are considering going on a trip then you should consider getting a spare. Memory Cards– Some manufacturers would provide you with memory cards but most of them turn out to be inadequate in terms of size. Camera Bag– Some manufacturers or dealers might give you one but you should not expect it to be of high quality since it is a “free” bag. So it is advisable that you invest in something more standard. Filters– Most photographers would suggest you get a UV-filter at least for every lens you buy. Purpose. 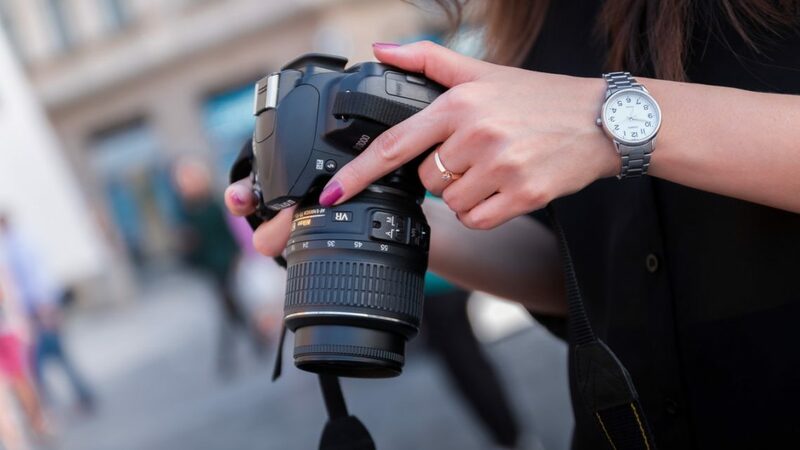 If you go into a standard camera store to purchase a camera of any type, the first question you are asked is what type of photography the camera will be used for. It is a good question to ask yourself before you personally head to the store so that you can on your own think through the accessories and features you’d be needing. Will it be used for recording? Are you going to be travelling with it? Is it low light photography? Think of everything realistic that you would use the camera for then come to a decision. Size. All DSLRs are more portable than the so-called compact point and shoot cameras but still there is still a sort of variation in their sizes. There are photographers who don’t care about carrying a weighty camera along with them to wherever they are going but if what you have in mind is an on-the-go photography like hiking, travel or bushwalking, then the small and light builds are what you should go for as they would really come in handy. Resolution. If you have considered all of the above factors and you have found the camera that perfectly fits, then it is time to ask the question – “How many megapixel does it have?” Megapixels coif you are planning to enlarge and print then more megapixels would be good but if you are planning to small sizes that you can mail to friends then it is no big deal. Later Upgrades. There is a probability that you might need to upgrade your camera in the coming future. A thing about these low-priced DSLRs is that they tend to go out of date faster than the higher priced ones and it is possible you grow out of them quickly as your expertise grows. In this sort of case, the best thing to do is to ask yourself if you are a fast learner and go for the higher priced models with more professional features. It is a very tricky question but you will agree that it is worth it to pay more in short term for a camera that you’d eventually grow into. There are a lot of other features to be noted in DSLRs but with these few, I am very sure that you will not be disappointed with what you will get at the store. Go on and be the professional photographer you plan to become.